Obalon is an innovative weight loss treatment that is conducted by just swallowing a small capsule fastened onto a small catheter which is the size of a piece of string. 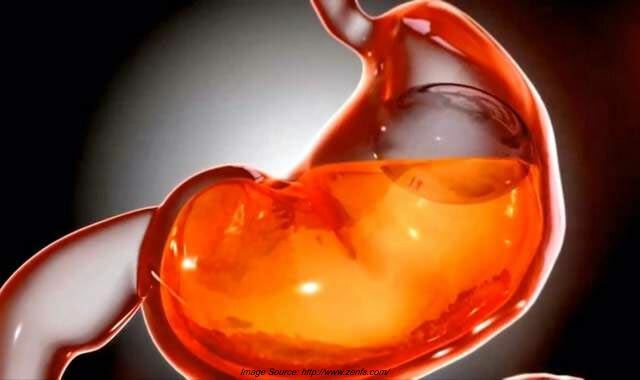 The moment the capsule gets inside the stomach, the outer coating of the capsule dissolves. Obalon is the first-ever swallow-able weight loss balloon that is enclosed in a small capsule that will allow you to lose weight without necessarily interrupting your normal daily routine. It simply works by decreasing hunger pangs feelings. Consequently, the balloon is enlarged to the size of an apple using the micro-catheter. On the removal of the micro-catheter, the subtle and light balloons remain seated comfortably at the top of your tummy, thus speeding up the feeling of fullness in order to increase your weight loss. This alternative to bariatric surgery weight loss device helps people eat less and feel fuller faster. It is non-invasive and as such, it does not require surgery. The Obalon system starts to work the moment you swallow Obalon and it lands in your tummy. For some moments it remains fastened to a thin tube that allows doctors to inflate it. After that they remove the tube, leaving the balloon to lodge in your stomach for about three months during which it moves up and down as a float in intestinal waters. According to the manufacturers, a person can have three of them at a time. The whole procedure takes about 15 minutes only. The idea here is that balloons fill part of your stomach to give you a sensation of being full for you to eat less. These balloons are big and buoyant such that they cannot go past the stomach. A doctor will deflate the balloons and pull them back through your mouth after twelve weeks. According to proven results, Obalon is an effective treatment for weight loss. According to a study conducted on 119 obese victims, especially women, there is evident that after going through several phases of the treatment, they lost 8kg, which is equivalent to 7.6% drop rate. The 8kg weight loss can also be equated to 50% of the excess body weight. As such, the technique is more or less the same as gastric bypass and gastric banding surgery. Although Obalon works just like gastric surgery which is known to result into long-term weight loss results, it is not clear whether Obalon has the ability to result into long term results. There is actually no proven study yet. How Obalon Results to Weight Loss? 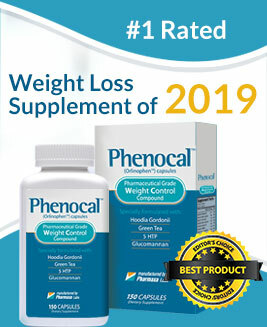 This is a 12-week weight loss treatment specifically designed for anyone trying to look for an alternative and effective method for weight loss. It does not infringe on your daily activities. In this case, you do not need to change your lifestyle drastically which is typical in other weight loss techniques. Thus, once you begin your Obalon treatment, you start feeling full and therefore resulting into your reducing the sizes of your portions and hence low calorie intake. Considering that the average weight loss one is capable of achieving with Obalon is 3 pounds (8kg) in a span of 12 weeks, it takes half of the alternate weight loss balloon treatment to achieve better results. After 30 days of treatment, you will be required to go for a 2nd consultation and acquire your second balloon to help you keep on feeling full. After 60 days, you are also required to return to your doctor to discuss the possibility of taking in a third balloon for the remaining part of your treatment basing on the progress you have made in weight loss and your fullness levels. This means that after undergoing treatment for 12 weeks, you will have completed your Obalon weight loss treatment. This will leave you feeling trimmer, lighter and energetic. It is at this time that the balloons are deflated and gotten rid off through a process referred to as endoscopy. During the process, you will be slightly sedated for purposes of comfort. Having completed this treatment, you will need to embark on your healthy eating lifestyle while you enjoy the successful results of Obalon treatment. If you have a BMI of 27kg per sq. metre, then Obalon treatment accompanied with a healthy diet and exercise is recommended. It works by simply by lying above the stomach where it is left to sit for 3 months (12 weeks). Depending on the patient’s requirements two more balloons can be added during the process. The Obalon balloons are smaller and as compared to the ones offered by the National health Service (NHS) in the UK and they contain nitrogen gas and not saline. This in fact is the reason why they sit comfortably at the top of your stomach once inserted. According to Obalon, clinical trials clearly indicate that the procedure is capable of reducing extra body weight by 50.2%, 8.3% in the overall body weight and 2.8 point in BMI over a period of 12 weeks. However, it is good to understand that although the use of Obalon has been approved in Europe, FDA is yet to certify it in the US. This is because of lack of evidence for long term and effective results of the balloons. The argument here is that when the balloons are finally removed, it leaves the stomach with the same size or even bigger than it was before which means that you will need to consume more to fill it. As a result, besides using the Obalon method for weight loss, it is good to observe a healthy diet plan combined with appropriate exercise.